As part of this tutorial we will use the Edublocks editor, explore the world of programming with MicroPython and learn more about the Raspberry Pi. Click here to access the tutorial – <Link>. Let’s get coding!!!! Clicking on the link opens up a new window. You will need to launch the Edublocks editor on the Raspberry Pi before you can start putting the code together. So look for the Edublocks code editor and click on it to launch the app. We will write our programs for this tutorial using the Edublock Python editor for the Raspberry Pi. 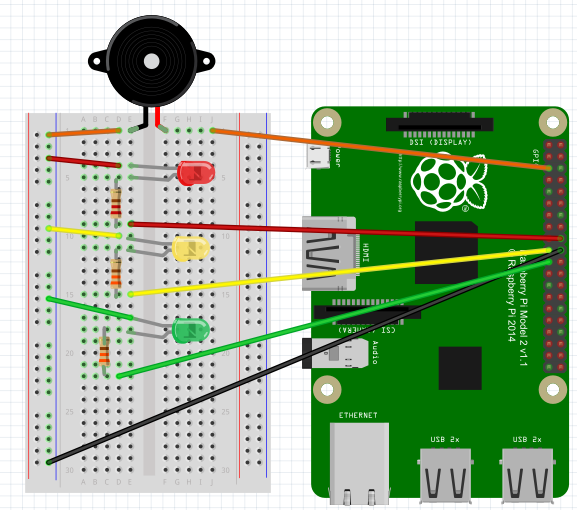 This tutorial makes use of the Raspberry Pi 3B. If you haven’t purchased a Raspberry Pi 3B yet you might want to head over and pick one up now. We would recommend that you pick up the Raspberry Pi 3B and a breadboard. The breadboard makes working with the Raspberry Pi 3B a lot easier. You can pick up these items from OzToyLib. We will be using the Edublock Block editor (https://edublocks.org) to write code for all our tutorials.